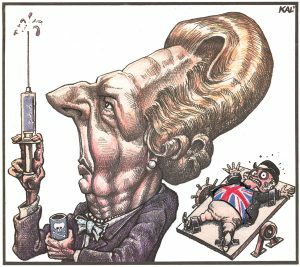 During my first ten years of my career as a cartoonist, Margaret Thatcher loomed large. 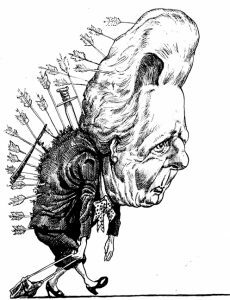 I was working in the UK for a variety of daily and weekly publications and Maggie was residing in 10 Downing Street as Prime Minister of Great Britain. She seemed to be a hovering presence in my life for a decade. I drew her just about every week. She was sharp-nosed determined character with little humor. 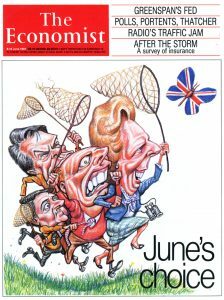 Small in stature, Thatcher proved to be a large conservative force for change in both the the UK and the world. 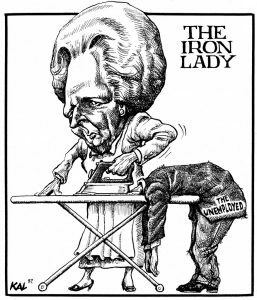 Her determined style won her many friends and enemies among citizens of the country and the cartoon community. 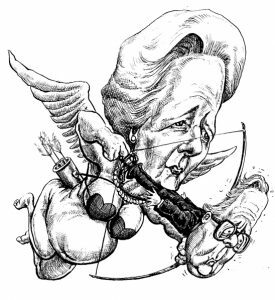 She was a friend to cartoonists because her dogged right wing politics provided mountains of inspired scorn-filled cartoons. 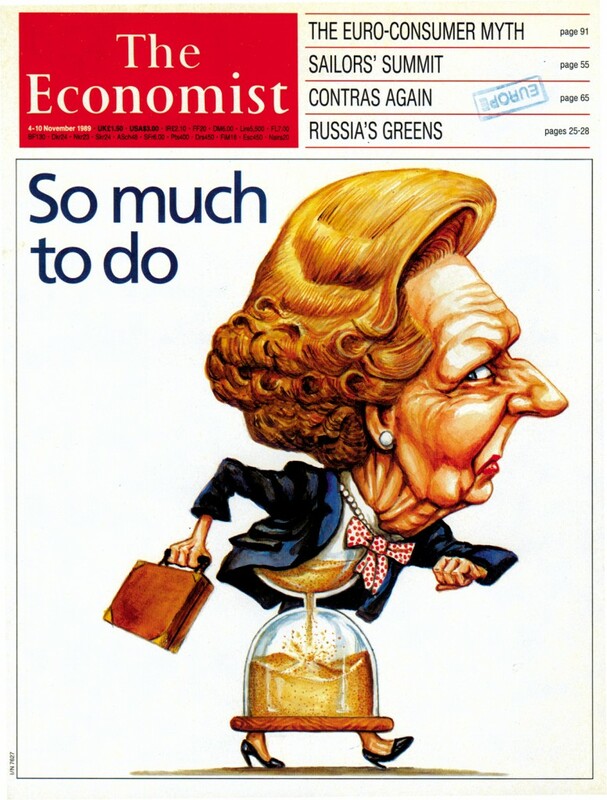 She was an enemy to many cartoonists because few supported her conservative agenda. 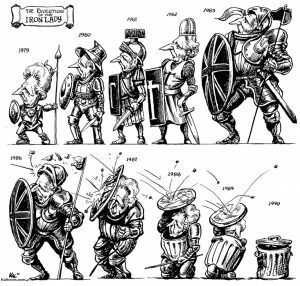 While assembling my new book Daggers Drawn: 35 Years of Kal Cartoons in The Economist I found scores of cartoons I produced about the Iron Lady over the years. I attach a handful here. If you have favorites from years past let me know and I will try to dig them out.